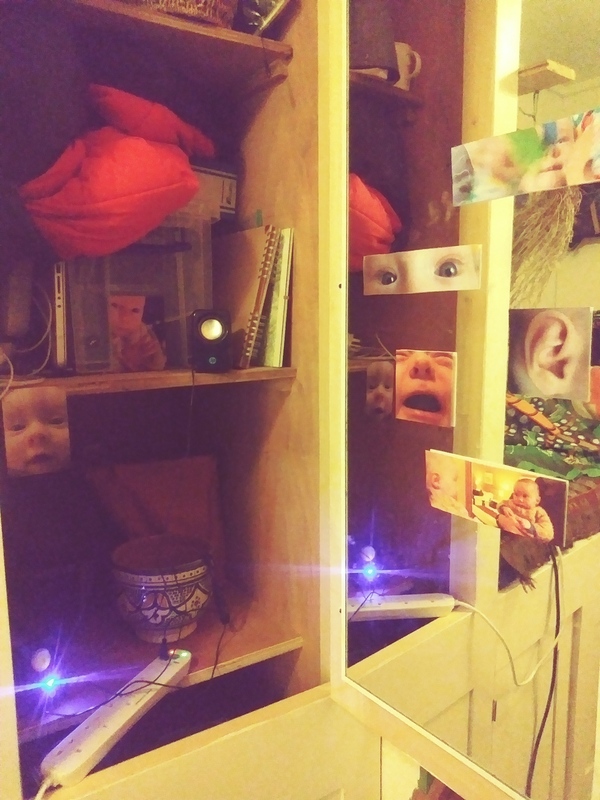 Here’s a quick peek at something we’re currently working on, an installation inspired by how babies – specifically Abi’s baby daughter Zora – make sense of the world. This first version is called Hello world, hello Zora! and is small enough to fit into a cupboard, but as is the case with babies, we think this one will grow and grow. 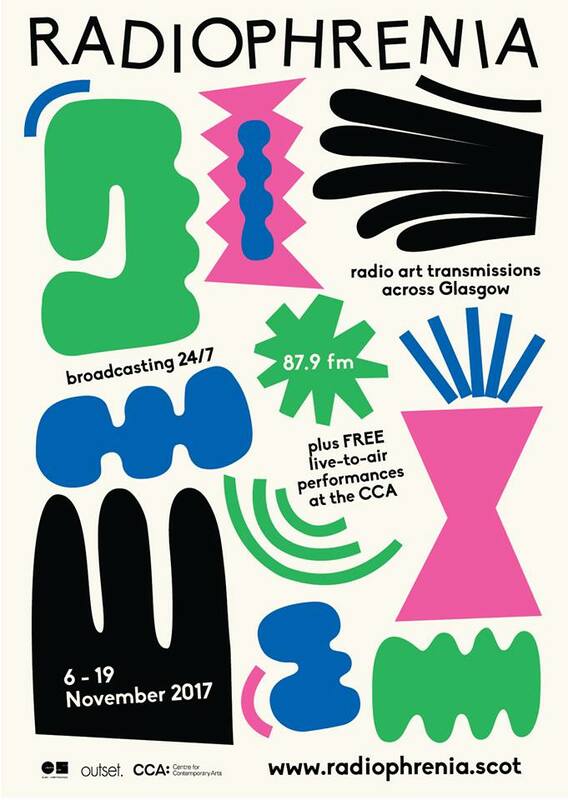 As previously mentioned, we’re thrilled to have been selected for this year’s Radiophrenia transmission, which runs from 6-19 November, on 87.9FM in the Glasgow area and also online. 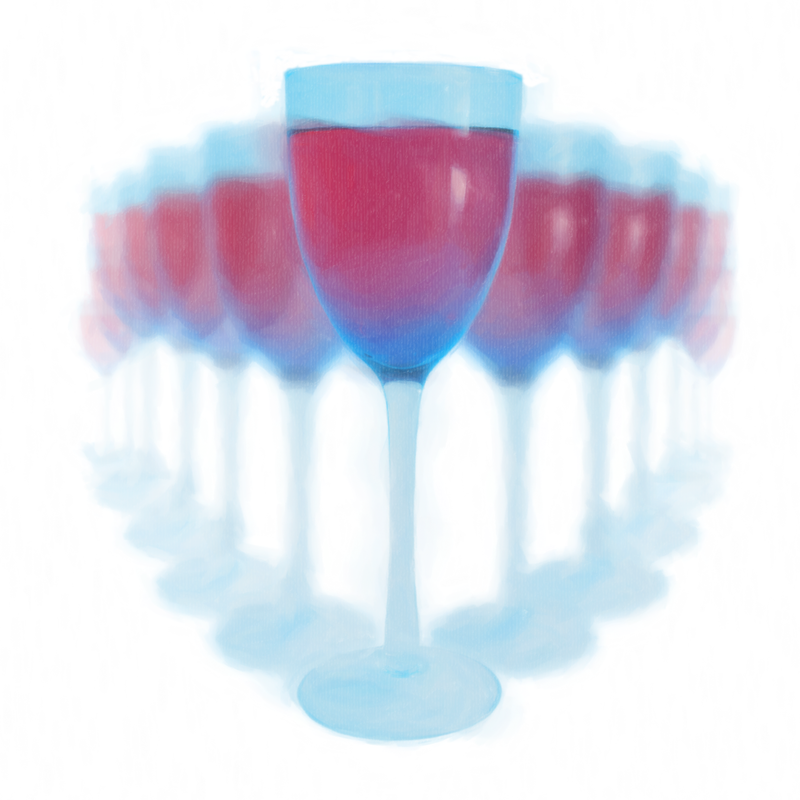 Our radio arts piece The Last Glass will be broadcast at 4pm on 13 November: click here to listen to the station. We’re delighted to have received the news that a new piece of ours has been selected for the 2017 edition of Radiophrenia, the Glasgow-based art radio station. The Last Glass, a 52-minute docudrama, will be broadcast on 87.9FM and online during the station’s run from 6-19 November. We’ll post the exact time and more details once the full schedule has been published. 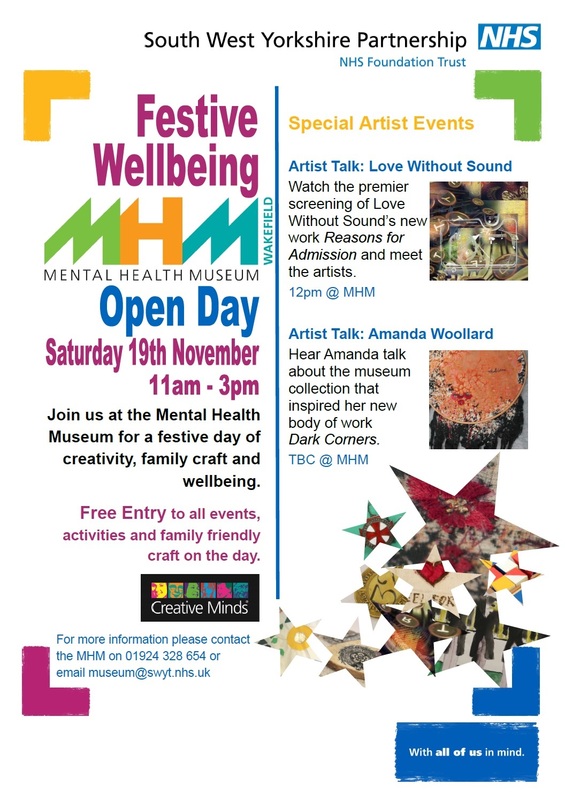 There’s an official launch as part of the MHM’s Festive Wellbeing Open Day on Saturday 19 November, where Amanda Woollard will also be showing her work Dark Corners, which is also inspired by the museum’s collection. We’ll be giving a brief talk at 12pm to introduce the work, although we’re happy for people to come and see it whenever the museum’s open and to find their own interpretations of what we’ve created. 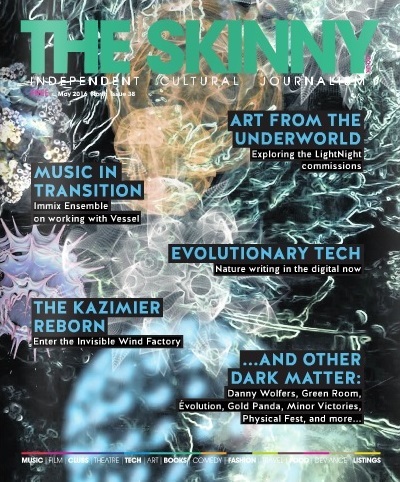 We’re thrilled that our Light Night Liverpool 2016 commission Pixophytoflora was chosen as the cover image of The Skinny this month and featured as a highlight in the preview inside, ahead of its appearance on Friday 13 May. You can pick up a copy throughout May in Liverpool, Manchester or Leeds, or read it online here. Even better, come and see the installation with our live improvised soundtrack at Liverpool Medical Institution from 5-9pm during Light Night. We’ll be giving our undersea installation/performance its first outing at this year’s Light Night Liverpool on Friday 13 May. 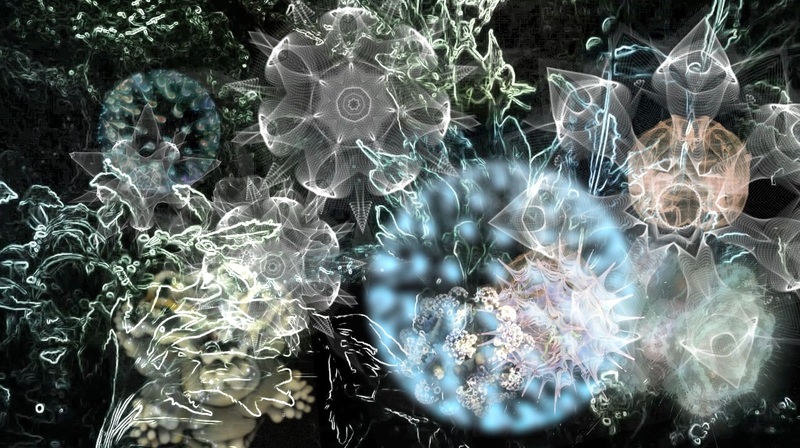 Featuring our bioluminscence-inspired visuals and a part-electronic, part-live improvised soundtrack, Pixophytoflora takes place at Liverpool Medical Institute from 5-9pm. Details are still tbc but it’s likely that the evening will feature several short performances from us, then will run with an ambient soundtrack the rest of the time. So, our long-standing obsession with those tiny creatures that can make their own light at the bottom of the ocean – bioluminescent creatures – and with diatoms (see below!) 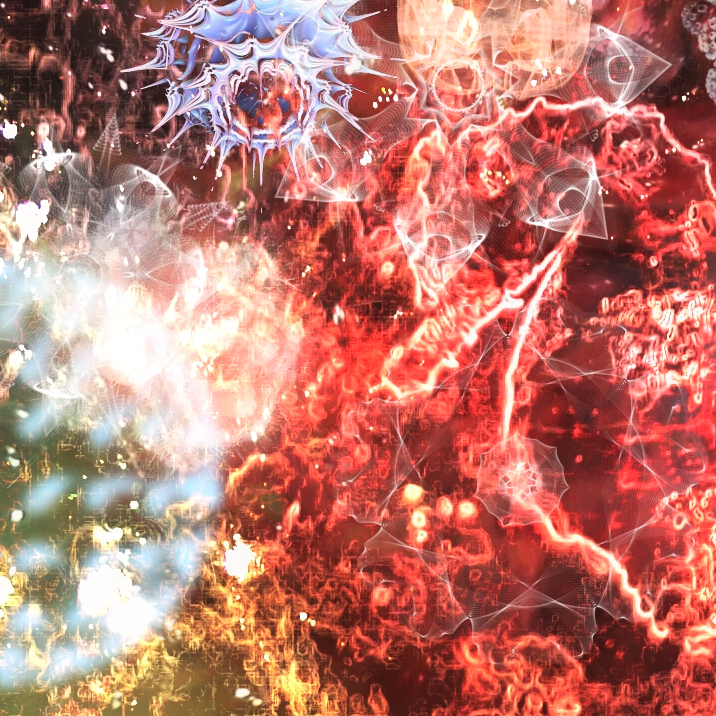 looks like it might be about to bear fruit in the shape of these visuals. The publication of William Myers’ book ‘BioArt: Altered Realities’ in 2015 draws attention to an increasingly popular strand of thinking amongst artists. 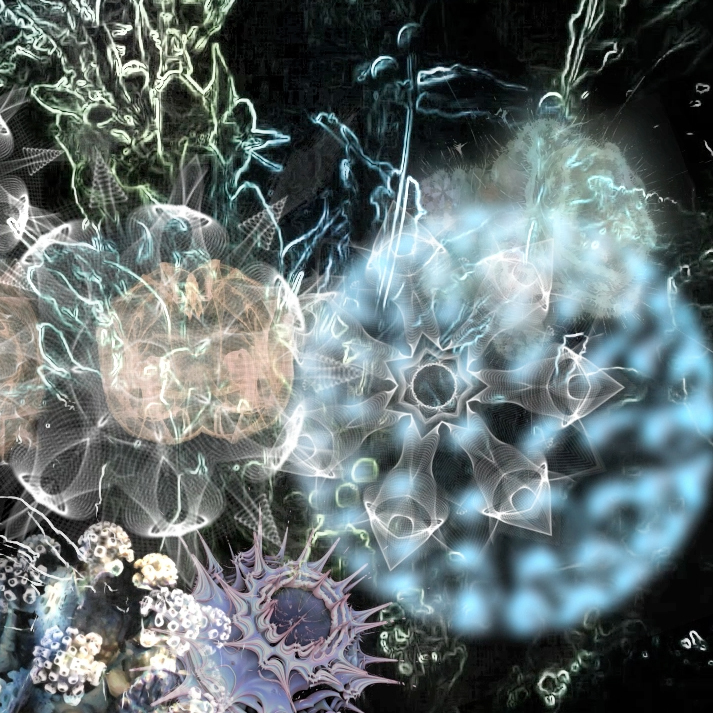 In a world in which recombinant DNA tech allows us to engineer living things, blur the biological boundaries between organic life and inorganic digital technology and so on, artists are responding in a multiplicity of ways – for example, by using slime moulds to make music by communicating with Max/MSP patches (see Grabham and Sharp’s 2014 film, ‘The Creeping Garden’). Phytoplankton are small autotrophic plankton found in freshwater ecosystems, oceans and seas. Usually too small to be seen with the naked eye, they occupy the euphotic zone and account for about half of the photosynthetic activity on earth. Perhaps the most famous of the group are the diatoms. 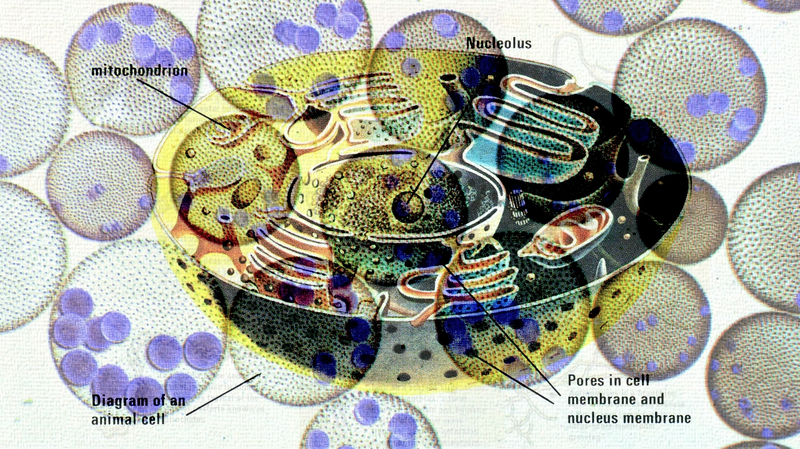 Diatoms are incredibly beautiful when viewed under a light microscope; a unique feature of them is that they are enclosed within a hard cell wall made of silica called a frustule. These frustules can be either radially or bilaterally symmetrical, and exhibit tremendous snowflake-like beauty, as illustrated by Haeckel in his 1904 microscope study ‘Kunstformen der Natur’. 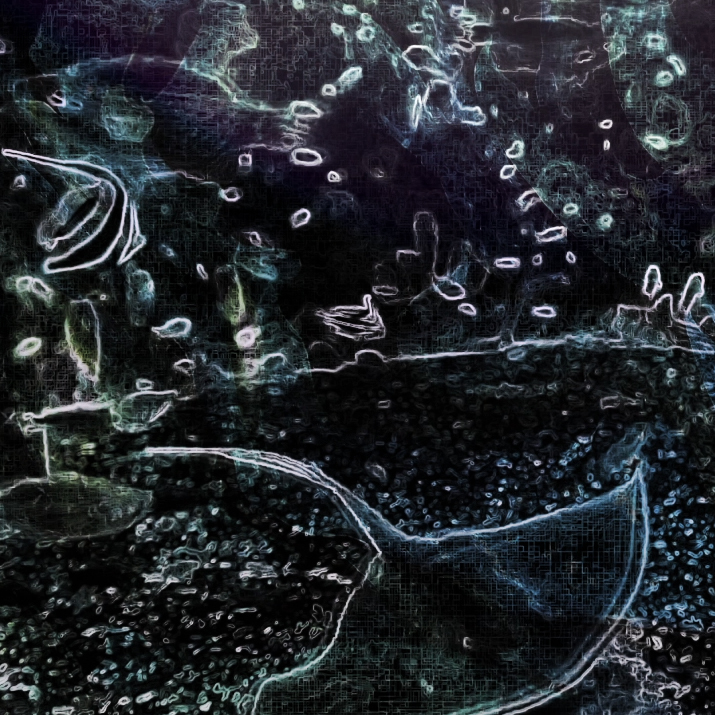 Experimenting with various digital imaging tools, we noticed that we could create ‘artificial’ diatoms quite easily. 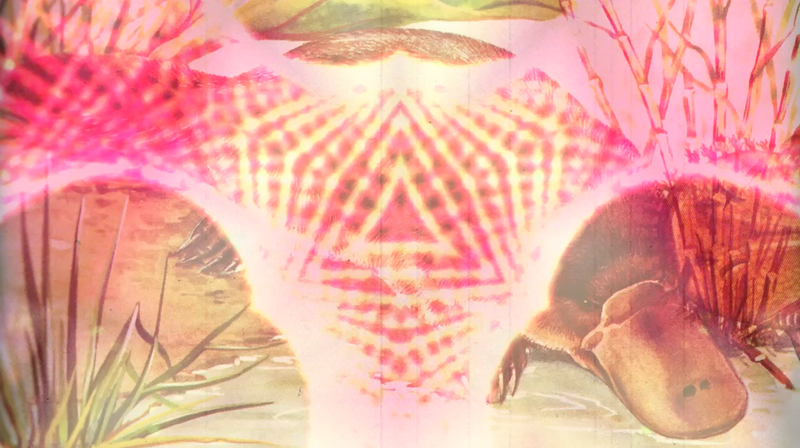 We used simple diaphanous brushstrokes and kaleidoscope filters to create radial and bilateral symmetry in our forms. 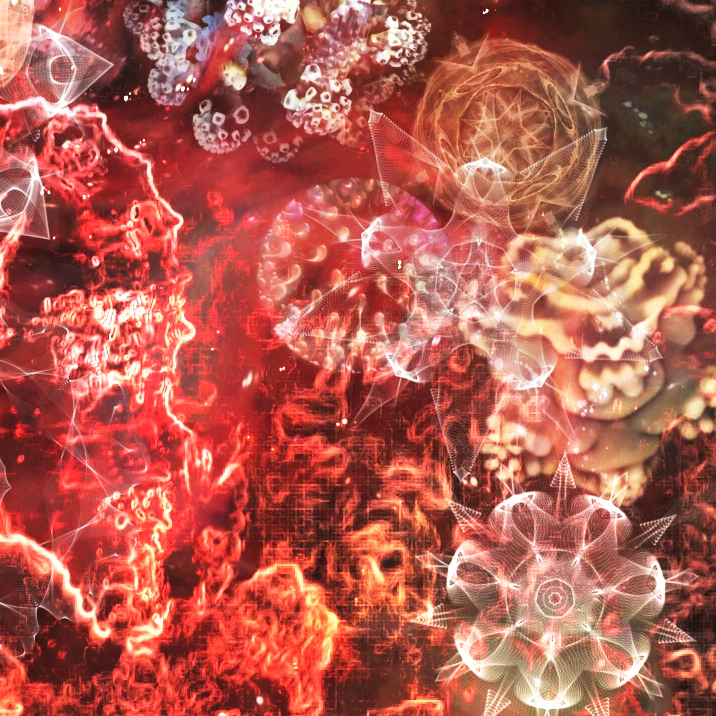 The results were quite beautiful, especially when brought to life with animation. We explored simple CGI techniques to create more solid ‘creatures’. 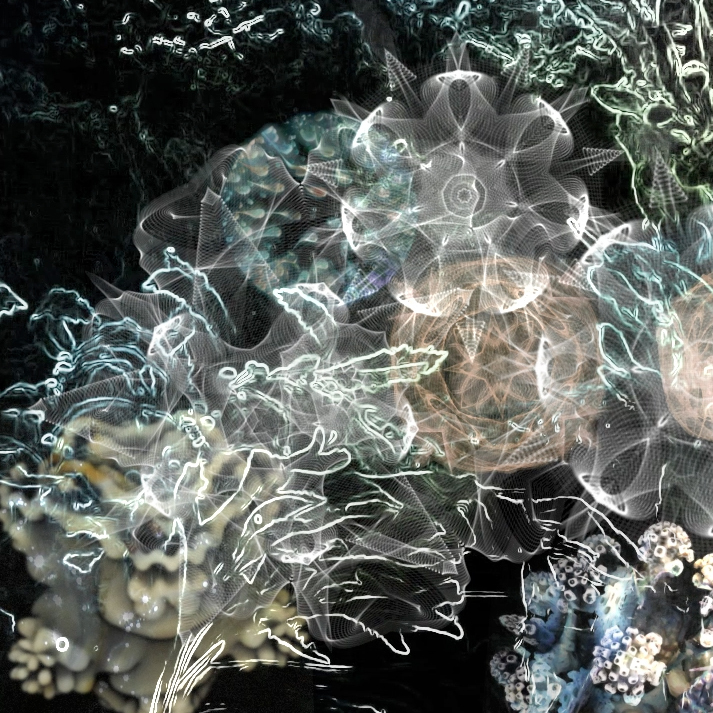 Actual photos of Lion’s Mane Jellyfish, found stranded at Crosby beach, were used as the basis for texture-mapping, along with images of seaweed taken at Robin Hood’s Bay, north-east Yorkshire. So far we’ve got about six minutes of these critters moving through an imaginary seascape (which includes real seahorses)…the ultimate aim is to use this piece as a projection that we can perform a live improvisation over using our violins, guitars and MS20s..
Our 2013 video installation The Sum of All Knowledge is back for another screening, as part of this month’s ArtWalk Wakefield. 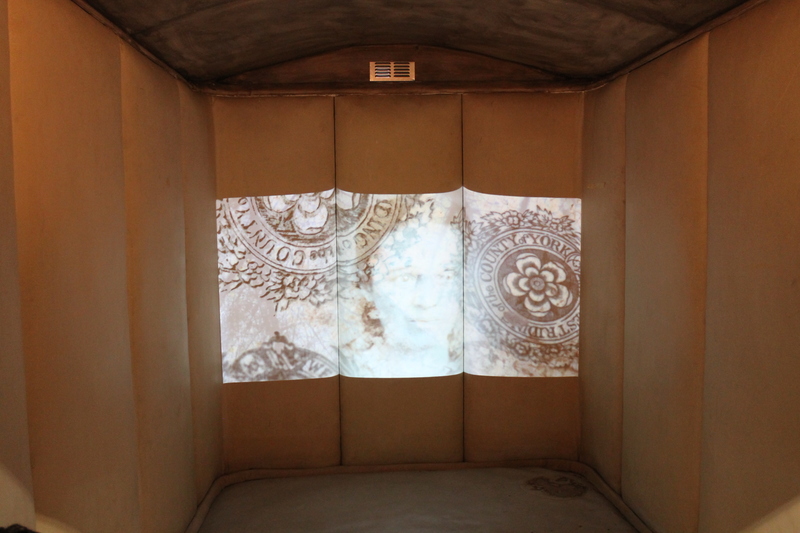 Yesterday we paid another visit to the Mental Health Museum in Wakefield to test out projecting our installation onto the walls of their padded cell. We were really pleased with how the colours and textures in the film interacted with the cracked, beige leather of the padded panels. The middle panel of the three has more of a greenish tint than the two either side, which affects how the projection appears over it, but we’re happy to let that stay as part of the ‘character’ of the space. 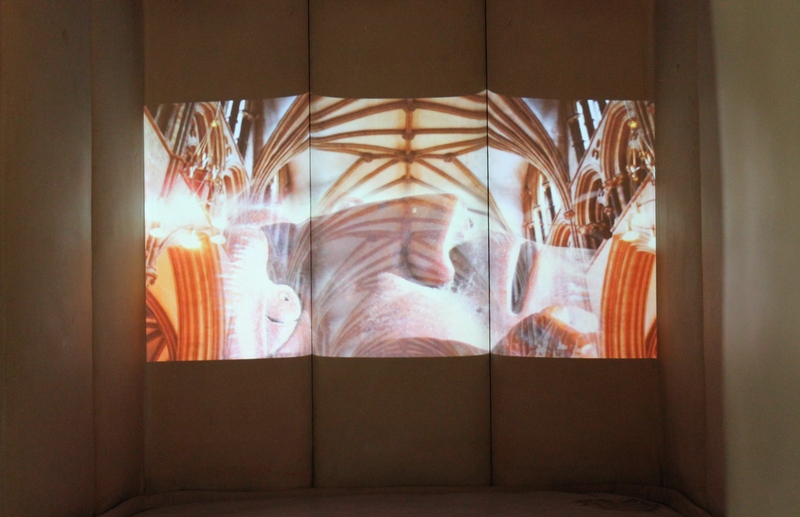 Projecting the installation inside the cell rather than downwards onto the mortuary slab – and with the addition of sound – means considering how the experience is going to be more immersive for viewers than originally planned. We’re having to work out how to strike a balance between not making the film too intense to watch in its new location, whilst not sanitising some of the more distressing experiences evoked by the museum objects that we’re responding to. There’s nothing explicitly disturbing in what we’ve made, but it’s surprising what can be suggested through inanimate objects and an atmospheric soundtrack! 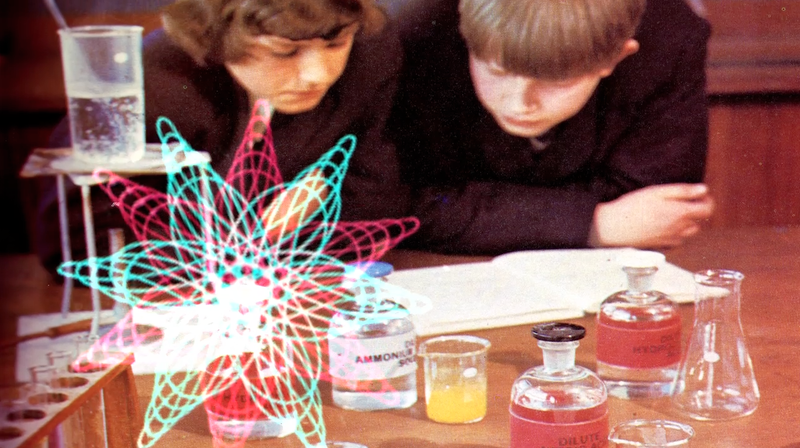 Yet we’ve also made sure that any darkness is counterbalanced by sequences of hope and recovery: after all, the 19th-century admission records that we’ve used as a starting point for sequences in the film showed us that even in the early days of mental healthcare, a good proportion of Stanley Royd’s patients were eventually discharged. 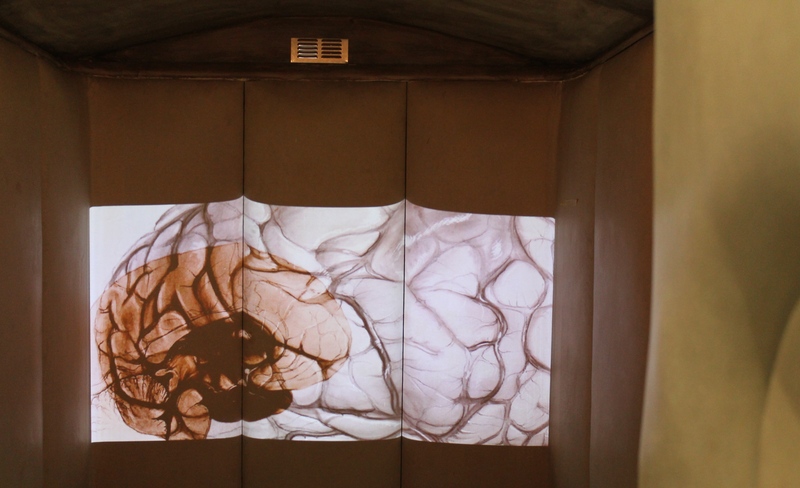 Here’s a sneak peek at a recurring feature of the installation: animations based upon gorgeously detailed drawings of brains made by the medical artist Dorothy Davison. Thanks to Cara and Ruth at the Mental Health Museum for the photos. For more images, including ones of the backs of our heads looking awkward, see the museum’s Facebook page.